Springfield home remodeling: Spring is in the Air! 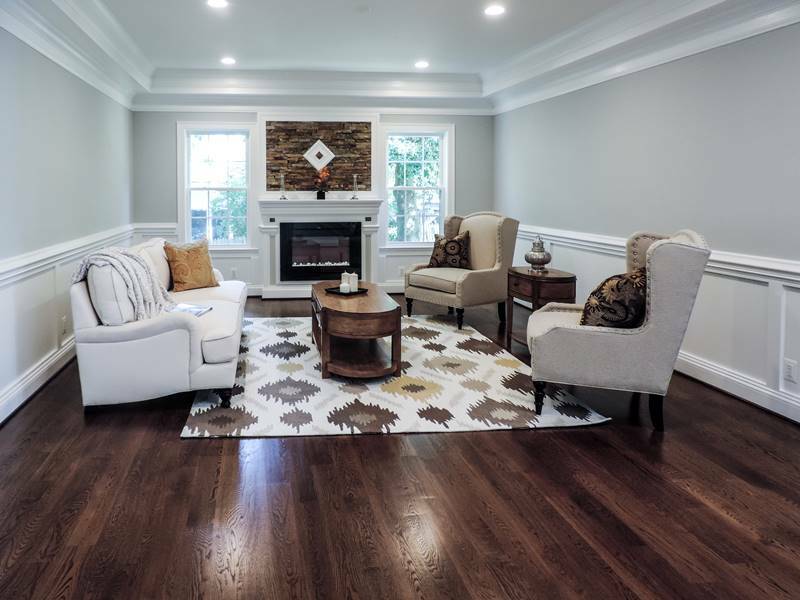 Spring is just around the corner here in Northern Virginia, and in order to put a spring in your step now is the time to talk to us about your Springfield, Virginia, home remodeling project. If you instruct us on the work that you require, it will all be completed before summer arrives and you will be able to relax in your new home. Well, maybe not a new home, but a home remodeling project will certainly make a huge difference to the way you live. Do you work from home, but really don’t have enough space? A lot of folks in Springfield, and throughout Northern Virginia, are doing the “home office” thing. Why not let us build an addition specifically to use as a home office? Doing this allows you to design the office exactly the way that you want it so that everything is within easy reach. Perhaps you need to take photocopies of documents and at present have to run into town because you don’t have space for a photocopier. How much easier it will be if you have a photocopier in your office. What’s more, with a Springfield, Virginia, home remodeling project that creates an office, it gets you out of the house, even though you are only next door. This is a great advantage if you need to have clients visit you: It looks so much more professional to discuss business with them in a proper office than in your spare bedroom. Perhaps you need kitchen remodeling. Times have changed over the last few years, and we all now do a lot of our entertaining of friends and family in the kitchen so it needs to be warm and inviting. When you re-design your kitchen you can have everything exactly where you want it and as you want it. Onyx or marble work surfaces? Of course. A built-in wine cabinet? Why not? An island dining table? Certainly. Another idea, if your kitchen space is not large enough, is to create an addition that will give you that all-important extra room. 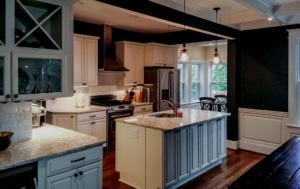 Again, many older homes in Springfield, Virginia, need (desperately) a kitchen upgrade or remodel – we can help! Bathroom remodeling is something that we are regularly asked to undertake, and we have some great ideas for bathroom design. This is something else that has changed over the years, as more people like to relax in a warm bathtub, perhaps with a glass of wine, and read a book, or even watch TV. It has become a place to enjoy as opposed to a room that is purely functional. You may not want everything in gold, as does a certain president, but it is still possible to create a luxury bathroom that will stun your family and friends, and add value to your home. Whatever your needs for Springfield, Virginia, home remodeling, we can design and build it to your heart’s desire. We will put a spring in your step before the Springfield spring is over.